How do you get from the Financial District to the Seaport? This question sounds simple enough; drive, public transit or walk. 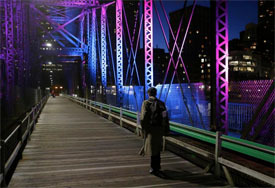 All three have their challenges and with the closure of the Northern Avenue bridge, some pedestrians and business are feeling the pinch. 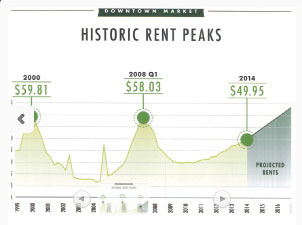 Rents are on the move, upward and don’t see any signs of letting up. Class B product in the Downtown Crossing (DTX) area of the city have seen increases from the high $20’s a couple of years ago to the low $40’s. Future predictions expect the 2016 levels to surpass the 2000 and 2007 markets peaks. 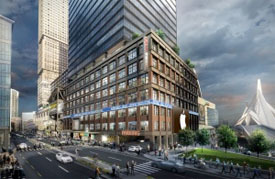 Nerej.com notes, “the city of Boston office market is absolutely exploding. 1.72 million s/f of office space was absorbed in 2014, 35% more than in 2013, and 50% more than in 2012. What statistics do not show is that Boston as a city has $110 billion in total assessed value for all its properties; $4 billion in new construction breaking ground, 4,500 current job openings and 44 tech IPO’s in the pipeline. 50% of total absorption in 2014 was urban migration from the suburbs. As of the start of 2015, there are 222,000 s/f of tenants in the market for downtown space alone. 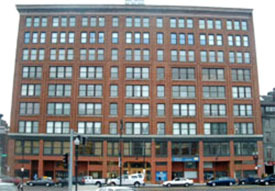 You can read more about the Boston Office Market explosion on Nerej.com. After completing $13 million in renovations, Jamestown is proud to announce some new tenants in the Design Center. 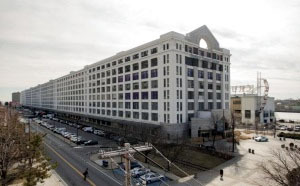 Jamestown, a real estate investment and development company headquartered in Atlanta, leases the 550,000-square-foot complex in the 1.4-million-square-foot Innovation and Design Building complex from the city of Boston. The complex contains 550,000 square feet dedicated to luxury home furnishing showrooms along with office and innovation space...Jamestown recently completed more than $13 million in interior renovations at the center, the first major physical updates since it opened in 1985. The project included renovations of the lobby, common spaces and seminar room and new finishes and furniture from design center tenants. A new residential mid-rise is coming to Broad Street on the Greenway, included in the project will be a street level café and 52 residential units. What’s going away? The Times Irish Pub & Restaurant. You can find the full article on the Boston Business Journal, here. As rents continue to push northward tenants are search for value options. In this particular case value is located in Charlestown for Light Blub, which lured the company away from Cambridge. Light Bulb had been located in 2,000 square feet at the Cambridge Innovation Center, a coworking space for startups, before looking to branch out. 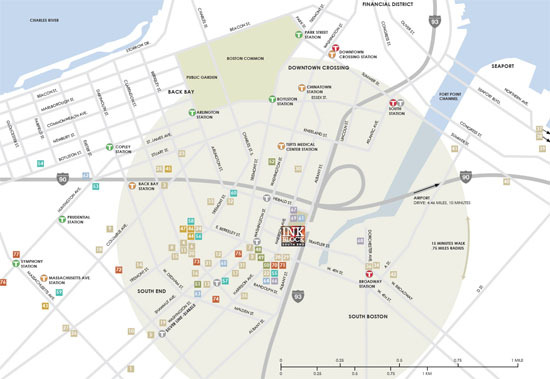 The company was considering other office space in Cambridge or Boston. 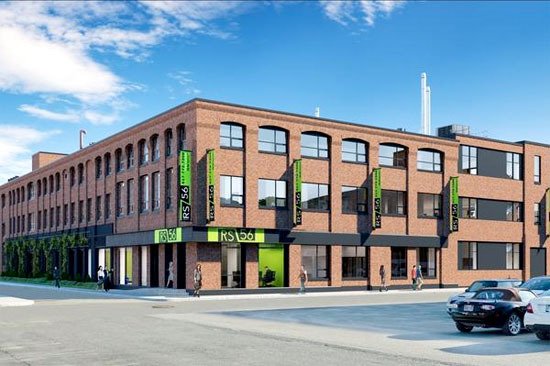 But it was a recently renovated brick-and-beam office building at 56 Roland St. in Charlestown that caught Finally Light Bulb’s eye…The company will expand to 8,000 square feet in March at the office, quadrupling its existing space. The calendar has turned to February and we are in the midpoint of winter. When you consider a location for your new office you might want to check and make sure the address gets good service by the City of Boston Department of Public Works. You can also check out a new site, Snow Stats, that allows the city to post snow clearing activity. The site is by no means a snow-cam mounted on the front of the truck looking at what needs to be plowed, and a camera on the back looking at the results, but it is a start. You can read more on the site on the BBJ. 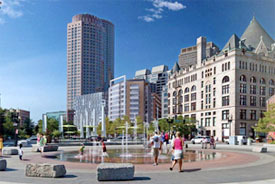 The fast growing market is the Seaport of Boston. The growth has put a tremendous squeeze on all aspects that connect that part of the city to its surrounding areas and the city is looking at a variety of solutions to ease the commuter pain. This would range from the haul road, ferry service and Silver line. This by no means will happen overnight, but at least it is getting the attention it requires. • Expand use of the Bypass Road to all vehicles from Richards Street to West Service Road full-time and from I-93 to Richards Street eastbound during the morning rush hour. • Allow all vehicles to use the northbound HOV lane from I-93 to the Ted Williams Tunnel. 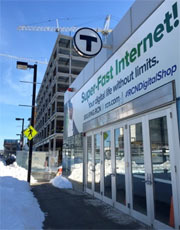 • Speed up the Silver Line by giving it signal priority at the D Street intersection and add real-time arrival information for passengers. • Install new Hubway bike sharing stations at Thomson Place, the Gillette Co. and Channel Center. • Consolidate corporate shuttle bus services along A Street. You can read the full B&T article on its website, here. Office Vacancy and the Super bowl, the city with the highest vacancy rate wins. You can read the complete analysis on rejournals.com.